A new feature about all the up and coming young talent across the world of golf! 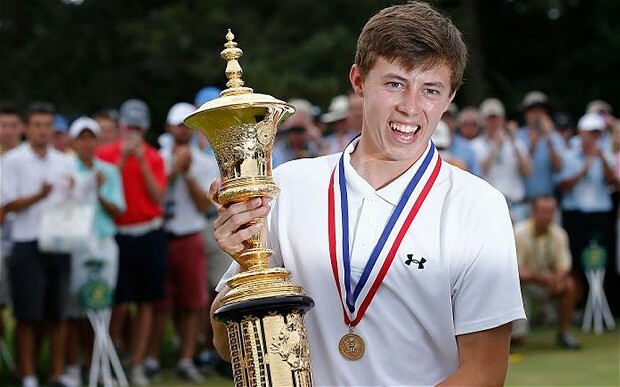 Matthew Fitzpatrick is regarded as Britain’s hottest prospect in golf. 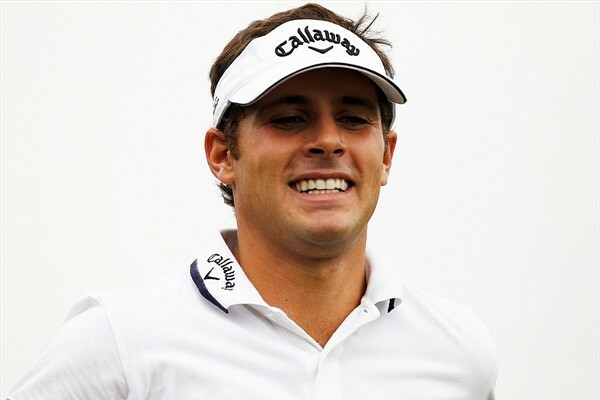 Having won the prestigious US Amateur Championship in 2013 (Peter Uihlein, Edoardo Molinari and Ryan Moore are the most notable recent winners) he then went on to finish as low amateur at the 2013 Open Championship. His outstanding play saw him reach number 1 in the World Amateur Golf Rankings which also saw him move to America and attend the Northwestern University in 2013. After a successful year, he made the bold switch back to his home city of Sheffield to pursue a full-time amateur career. 2014 will bring many new challenges including invitations to the Masters, US Open and British Open. A few have questioned Fitzpatrick’s decision to leave the college scene in America, but he is someone we will see a lot of not just in 2014, but for many years to come! 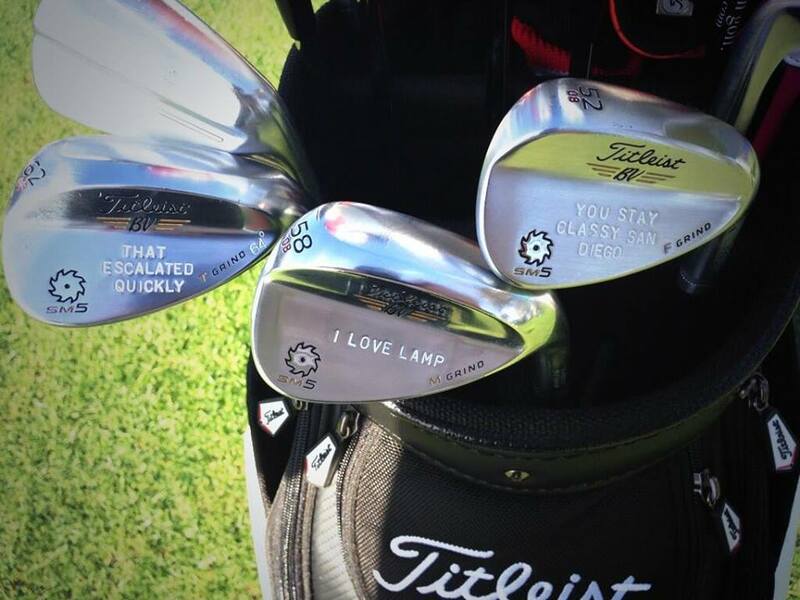 And just as we publish this, Matthew is over in America gearing up for the Arnold Palmer Invitational. Do not put it past the Englishman making a name for himself come this weekend! Fun Fact: If you know your football/soccer, Matt is a HUGE Sheffield United fan. He will be happy at the current revival under Nigel Clough, that is for sure. Spieth, Henley, English, Uihlein – four names we are all becoming very familiar with. 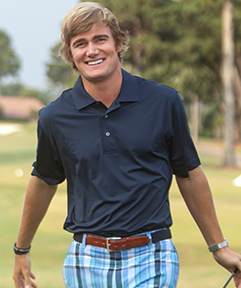 Looking to join them is Texan John Peterson, who comes from the same crop of next-gen golfers. We believe that this man will become one of the biggest personalities in the sport. His blend of confidence and ability led him to dominate college golf, turning pro at the age of 21. The American is looking to use rookie of the year and close friend Jordan Spieth as his inspiration after they first met in junior golf. His first notable achievement as a pro was at the 2012 US Open, having made it there through sectional qualifying. He eventually finished tied for 4th and just two shots off eventual winner Webb Simpson. This exceptional performance was capped with a third round hole-in-one on the par 3 13th. 2013 saw him compete on the Web.com Tour and also make an appearance at Augusta. He finished in the top five of all four tournaments of the Web.com Finals. Even more impressive were his figures as he ranked 1st in GIR (75%) and 2nd in total driving. In 2014 Peterson now finds himself fully exempt on the PGA Tour and says one of his main goals is making the Tour Championship. Only the 30 guys in the world make that. This guy has confidence and we like it! Uihlein is someone we have followed closely since his Challenge Tour days and quickly asserted himself as one of our favourite players. The American made the big decision to ply his trade on the European circuit, turning his back on the Web.com after a storming amateur career. He reached number one in the amateur rankings and was the player to beat in his age bracket. 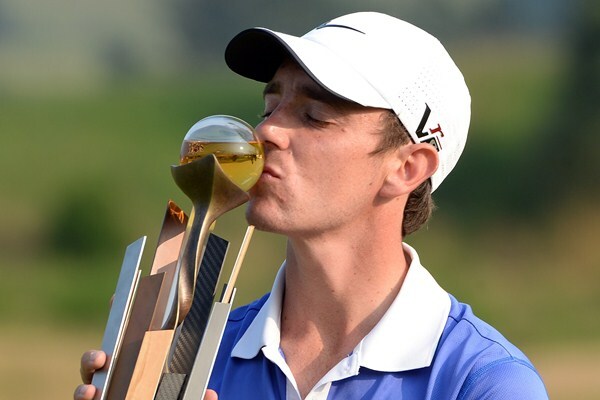 After managing six top 10s in his debut professional season on the Challenge Tour he claimed his first European Tour victory at the Madeira Islands Open in Portugal. Now on the European Tour full-time, he managed to attain two second places at the ISPS Handa Wales Open and the Alfred Dunhill Links Championship. He finished the year 14th in the Race to Dubai money list (amassing €1,360,268). He also ranked 15th in scoring average and 31st in putting. He has since played both the WGC HSBC Champions and Cadillac Championship whilst reaching 65 in the world golf rankings. His meteoric rise shows no signs of stopping and the next step will be breaking into the world top 50 and making a name for himself on the biggest stage, at the majors. Fun Fact: Is roommates with fellow American and European Tour star Brooks Koepka. 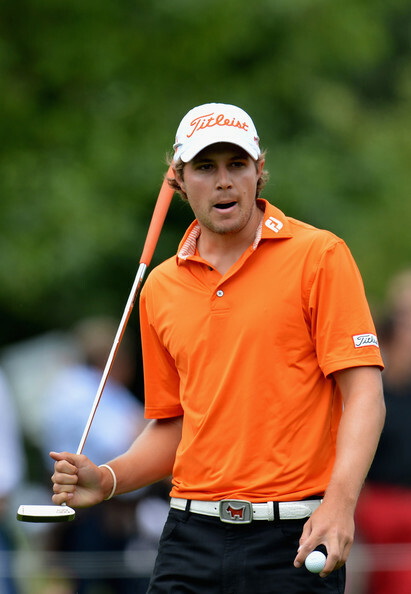 Andrea Pavan burst onto the golfing radar at just 16 years of age, taking the Italian Amateur Stroke Play title in 2005. He subsequently went onto have plenty more success in both his native Italy and in America, where he spent four years. Pavan then turned professional in 2010 and enjoyed a stunning 2011 on the Challenge Tour with two victories, including the season ending San Domenico Grand Final. He finished runner-up in the overall standings to Tommy Fleetwood. His debut season the European Tour was a struggle and had to drop back down to the European second tier for 2013. But this proved to be for the best, missing only 2 of 23 cuts in his second full season on the Challenge Tour. He bagged another two titles and topped the ranking list for the year. The 13/14 European Tour season, Pavan’s second, started well with a T11 at the Alfred Dunhill Championship and then a T8 at the Hong Kong Open. 2014 has proved a much tougher prospect with him yet to make a cut in six starts. 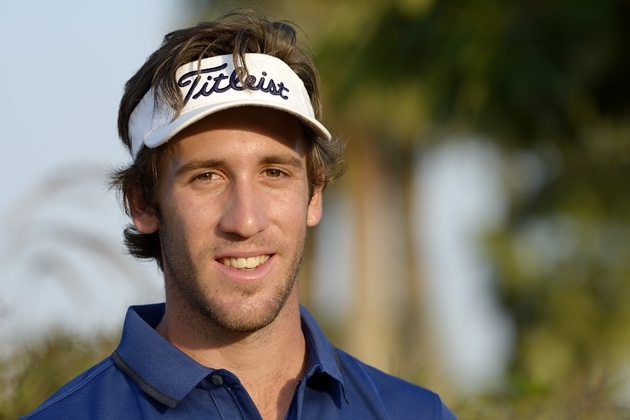 But Andrea harbours ambitions of emulating fellow Italian and Challenge Tour graduate Edoardo Molinari. The confidence is there and his quality has been on show for some time. Now it is time to prove himself on the biggest stage. For the whole of 2012, he played on the Web.Com Tour, mainly via sponsor exemptions, so his finish of 19th in the money list was an incredible achievement – with 7 top 10s in his 13 starts. The promotion to the big leagues have not harmed the Hoff at all and his debut season certainly didn’t go unnoticed by us. He recorded 3 top 10s to finish 111th in the FedEx Cup standings, earning himself nearly $1 million. Off the tee he is an absolute beast but when we’ve seen him on the greens, we have been most impressed. Although his 2014 season hasn’t started particularly well, this guy does have an incredible future. Be sure to see his name near the top for years to come. From our perspective, it is hard to believe the Frenchman is only 23. He has been regularly on our radar over the past year and has already recorded three top 5’s in the 13/14 European Tour season. Wattel enjoyed a really successful amateur career, mainly in his native France. It was topped off by becoming only the fifth player in Challenge Tour history to win a title as an amateur. Two months later he turned professional and managed to cement himself on the European Tour from 2011 onwards. It meant Wattel only played three tournaments on the Challenge Tour, winning one of them. He has since racked up 14 top 10 finishes and amassed a tidy €1,530,176. In 2014 he finds himself in a rich vein of form and has now moved to number 3 in the French rankings, behind Gregory Bourdy and the very talented Victor Dubuisson. It is only a matter of time before Wattel wins on the European Tour and announces himself to the world. Won 1 point from his 2 games at the Walker Cup in 2009. Tommy Fleetwood joined the Challenge Tour back in 2011 and after winning the Kazakhstan Open (becoming the youngest winner on the European circuit) he has slowly progressed from strength to strength. It wasn’t till last year when we started to really see the qualities of the Lancastrian, after starting the season with 7 tournaments where he didn’t finish outside the top 37. That is quite some consistency. He then went on to win the Johnnie Walker Championship in emphatic fashion, by winning the playoff. Not only was it his maiden European Tour title, it was on the course where this years Ryder Cup will be taking place – Gleneagles. It couldn’t harm his chances for a pick, especially with what McGinley has said about him in the past. This year he has not started as brightly as he would have liked but we are still so impressed with his tee to green game that more top 10s cannot be far away.